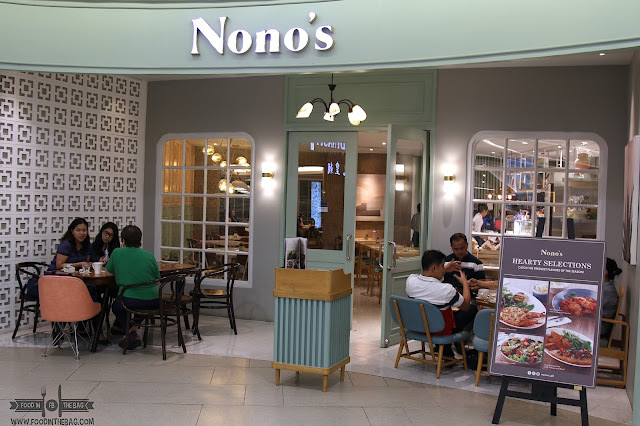 The first time I learned about NONO'S was when I walking around UP TOWN Katipunan and saw this busy restaurant. It seemed well lighted and welcoming to its guests. Fast forward a few months after, NONO'S recently opened another branch in the new Podium Mall in Ortigas. Located on the second floor and just beside one of my favorite Chinese restaurant, NONO'S puts a premium on all day comfort food. It might sound cliche but it sure delivers. Starting with something small but terrible, the cheese wanton puffs with truffle is hands down addicting. There's something about having them warm with some drizzle of honey. Yummy! 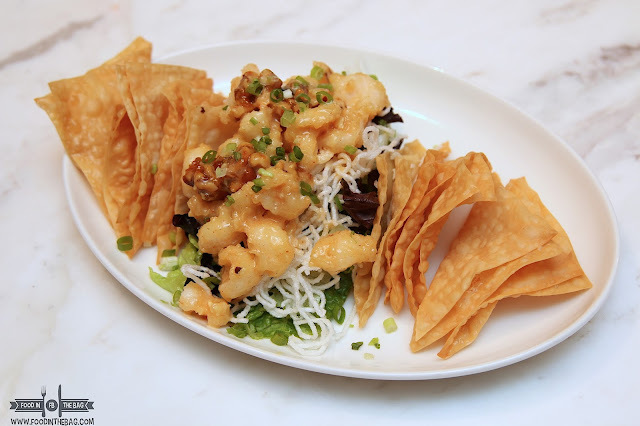 Another dish that is not to be missed would be the shrimps with the candied walnuts. It's basically a make your own dip. Remove the word dip and change it with shrimps! 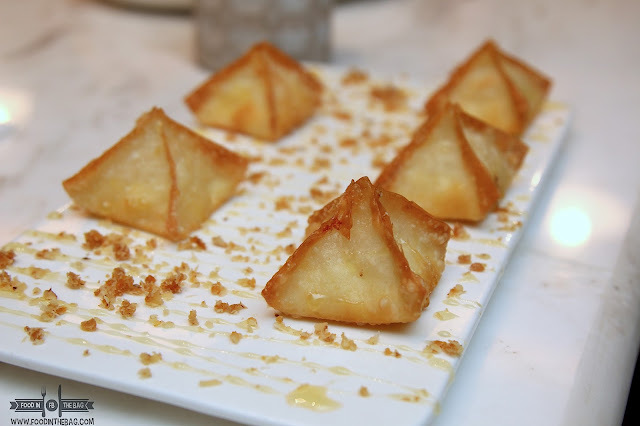 Deep fried wanton wrappers plus shrimps and a bit of nuts can make anyone crave for more. For someone health conscious, they have a some salad just for you. These watermelon and greens plus grapes is refreshing. 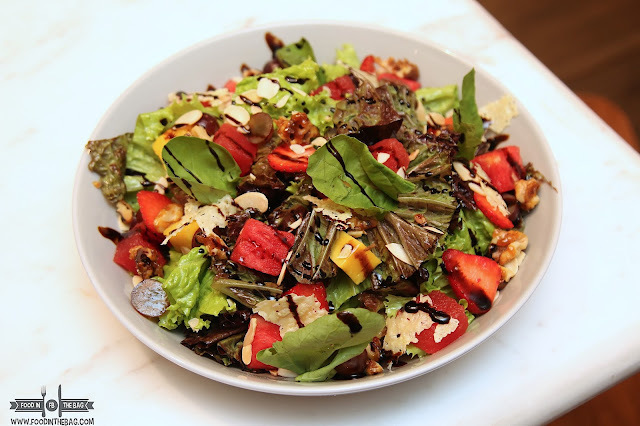 With balsamic dressing and nuts, everything is complete. 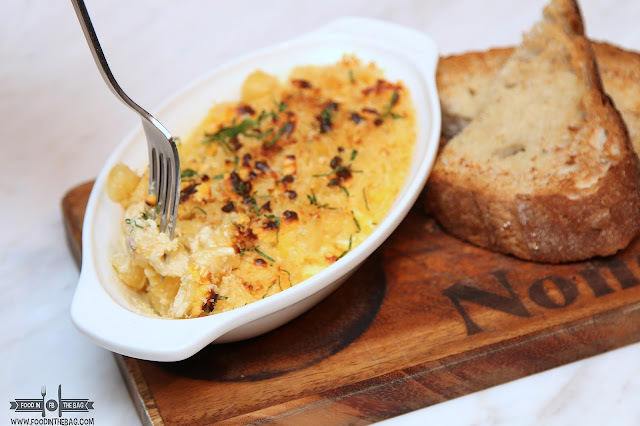 One might say that the mac and cheese of Nono's might lack the wow factor at first look but when you have a bite, it is darn cheesy! 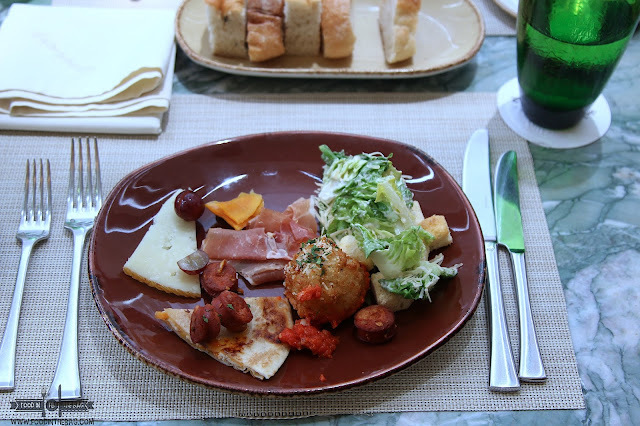 Using a combination of cheeses, it makes cheese lovers ask for more. Giving it a twist, this ROASTED BEEF BELLY is just hands down perfect with rice. I know it was served with mashed potato but it's indeed something that any Filipino would love with rice. 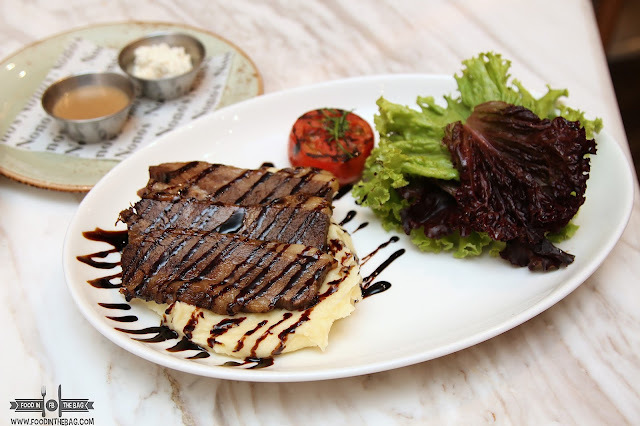 It's drizzled with balsamic to give it a different flavor profile. 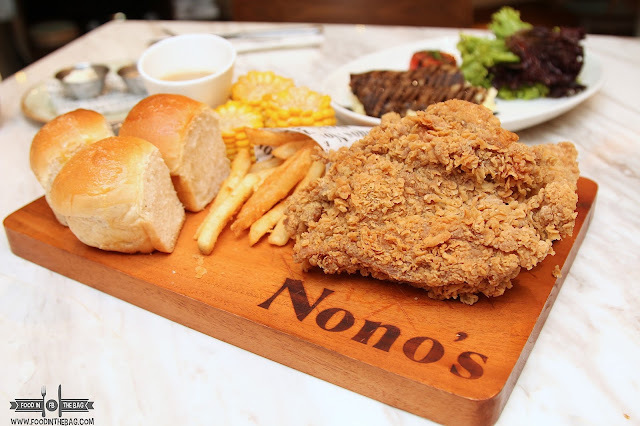 One dish that Nono's is known for would be their homestyle fried chicken. The meat is moist and the coating crunchy. Special mention has to go for their fries. There's a bit of bite when you go for the fries. I found myself asking for more. 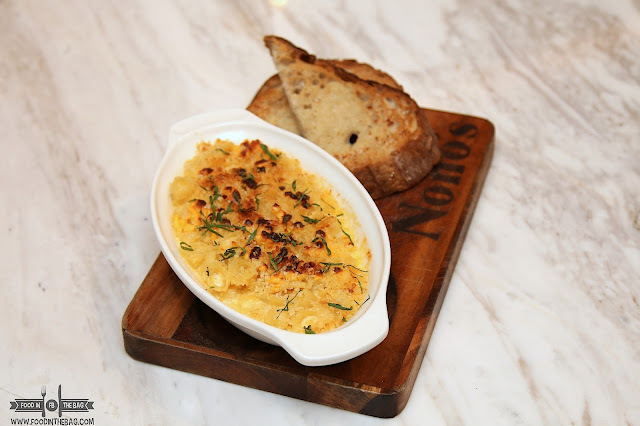 Since it is the Lenten season, NONO'S went out of its way and offered some shrimps thermidor. 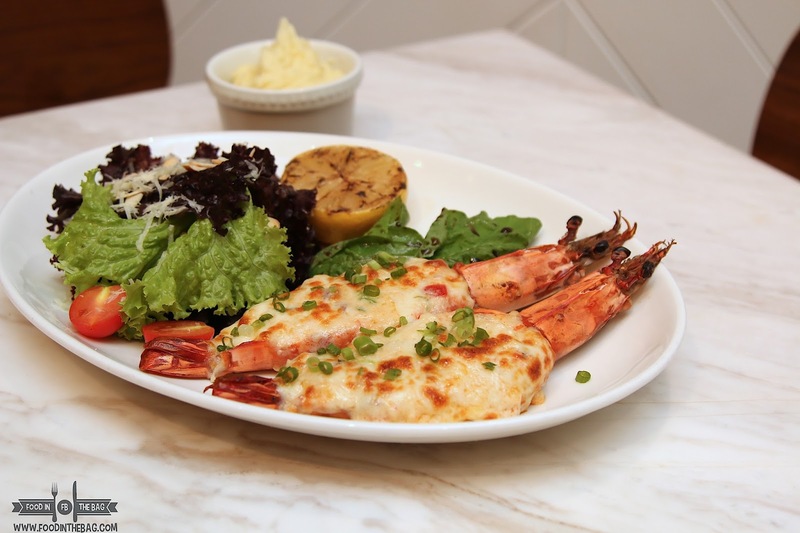 A mixture of cheese and special sauces are combined with the huge shrimp. This would definitely fulfill that no red meat rule. NONO'S is actually the brainchild of Classic Confection. 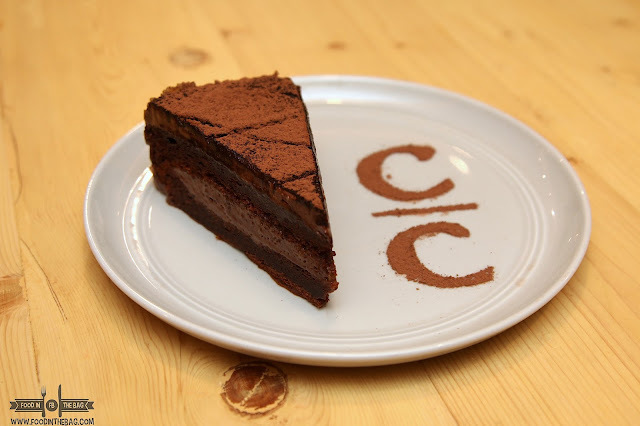 It's no wonder why they have mouth watering desserts on the menu. If ever you do get to visit, I would suggest going for this classic. It's moist, not overly sweet and could make your day. Nono's is located on the second floor of the new Podium Mall.